All Around Moving is your one-stop shop for reliable and affordable moving services. If you are looking to move anywhere long distance, our team of skilled movers can take up the task and complete it in an efficient and orderly manner. The size of the furniture and the distance doesn’t matter. All Around Moving is licensed by the department of transportation in all states of the USA. With massive experience in taking care of furniture, the company offers multiple services to its clients across New York, New Jersey, Connecticut, Florida, Texas, California, Maryland, Washington, and Georgia. Your long-distance move can easily be customized according to your specific needs. For a hassle-free move, and to learn more about All Around Moving fill out the form below and get a free quote today. Similar to the services provided to residential customers, we offer local moving, long distance moving, international shipping, packing and wood crating services, storage, international shipping, cubicles dissembling, and commercial office moving. All Around Moving is licensed by the Department of Transportation, is a member of Chamber of Commerce, and Better Business Bureau. 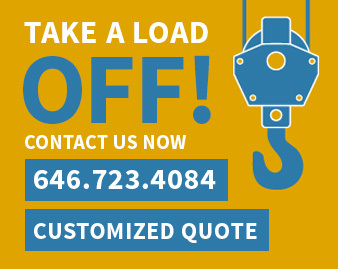 If you are relocating, call us at 212.781.4118, or fill out the form below for a free quote. Our experts will reach you after an estimate to survey the site, and then present a plan to you of how the job will be executed. The plans are carefully crafted by experienced movers to eliminate any delays or the possibility of any unforeseen hassle. Customers are presented with a customized operational schedule which details the timing, the costs, and any special services that have been opted for. All Around Moving Service takes great pride in fulfilling all local distance moving needs. It doesn’t matter where you are moving from, we have something that you will find fitting. We make every move from a tiresome chore to a hassle-free breeze. Contact us to know more about our local moving services.